What It Is: Looking to go off the beaten path a bit for your next book? 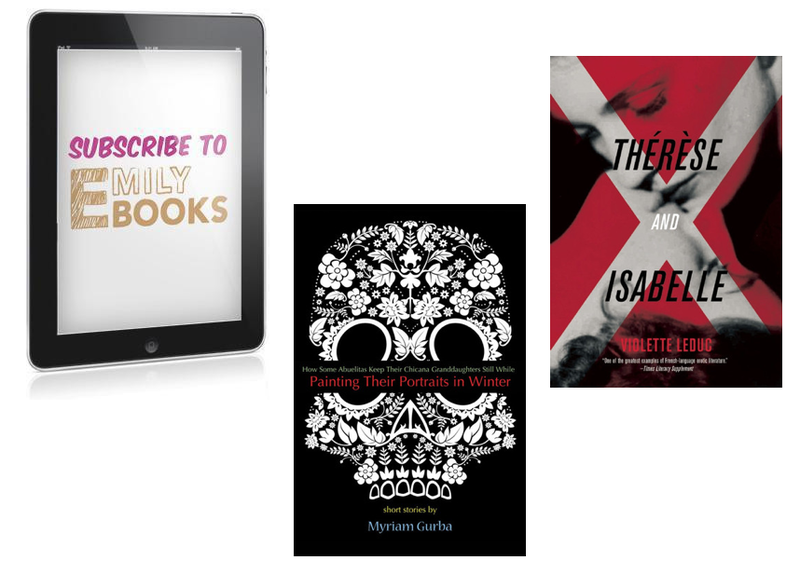 Check out Emily Books, a monthly subscription service that curates one incredible indie book per month and delivers it direct to you to download onto your ereading device of choice. The creators behind this hip brand met in the publishing industry and are committed to seeking out truly amazing and innovative stories. You can buy a yearlong subscription or go a la carte and pick up anything that sounds interesting to you. Plus, they offer gift cards. Who It’s For: That super hipster niece of yours, so she can add indie reading to her repertoire. That librarian friend you’ve got, so she can quietly make recommendations for her new fave reads. Your book club leader, as a great source of inspiration for future meetings. What It Cost: $159.99 per year. Individual books start at $12.99. Where It’s At: Subscribe online at Emily Books. BONUS entry into my Everybody Rise giveaway – tell me in the comments below, what do you think of this unique subscription service? I am not a fan of reading books on a device. Too expensive for me and I prefer real books! Not for me. I prefer real books. I would not be interested in this service. I love books & read anything & everything but I love the smell & feel of a newly published book so this isn’t for me. Sorry. Too expensive but an interesting idea. I think that it is a great idea, but a little costly! I’m not fond of reading books digitally… but I know that it would work splendidly for many others! I’d like it better if it were hard copy books that were delivered, or if you had the option of a hard copy subscription. There are some amazing e-books that have never made it to hard copy print though. Good for some but not for me.